Selected videos; Courtesy the artist's family and Sonsherée Giles. Lisa Bufano (1972-2013) was an American interdisciplinary performance artist working with her condition of being a below-the-knee and total finger-thumb amputee due to a rare bacteria infection at age 21. She graduated in Animation and Sculpture at the School of Museum of Fine Arts in Boston, and later dedicated herself to contemporary dance. 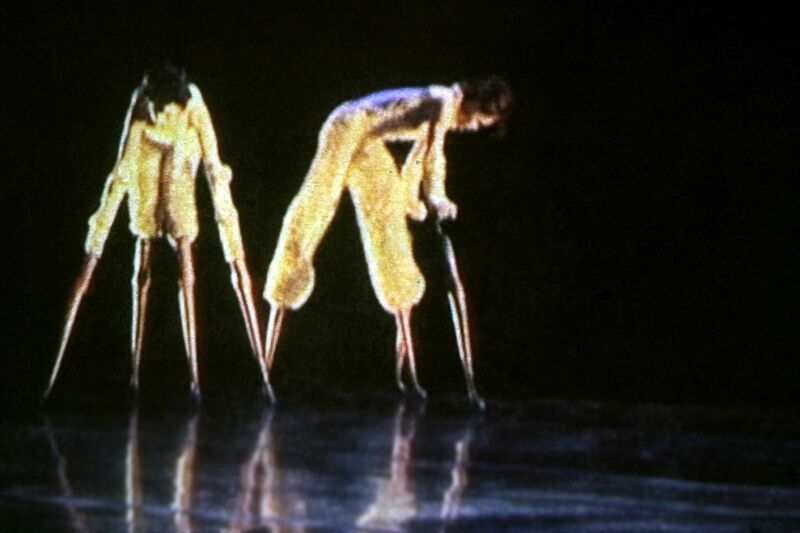 Her dance works and collaborations often incorporate prosthetics and props to manipulate her body, in a way to explore alternative locomotion, physical differences, her sexual identity and animation. The VENICE INTERNATIONAL PERFORMANCE ART WEEK 2016 shows a selection of video performances realized in collaboration with Sonsherée Giles.